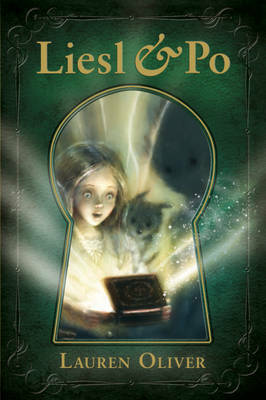 "A tale of one girl, two ghosts and the most powerful magic in the world. 'On the third night after the day her father died, Liesl saw the ghost.' Liesl lives in a tiny attic bedroom, locked away by her cruel stepmother. Her only friends are the shadows and the mice - until one night a ghost appears from the darkness. It is Po, who comes from the Other Side. Both Liesl and Po are lonely, but together they are less alone. That same night, an alchemist's apprentice, Will, bungles an important delivery. He accidentally switches a box containing the most powerful magic in the world with one containing something decidedly less remarkable. Will's mistake has tremendous consequences for Liesl and Po, and it draws the three of them together on an extraordinary journey." Lisel and Po... in under ten words it would be as follows. A beautiful book to curl up. It is a beautiful children’s tale that will be loved with years to come. It is filled with magic, friendship, and love and will live in the imagination of anyone who reads it. When I was reading it really took me back to when I was a child. I loved Lauren Oliver’s Delirium, so I wasn’t surprised when I loved this book even more. It is such a unique plot, and I think it will become a phenomenal bestseller. I mean it was written very beautifully. The writing was strong, and descriptive and created a vivid image in your mind. It was a very whimsical writing as well. The description was lovely, and was played to the advantage so that Liesl’s stepmother came across very stereotypical stepmother, and you felt a lot for Liesl. The plot was short but fantastic. It was long, or complicated, so in other words, perfect. It was like the book was crafted from magic itself. I guess the story just felt so real and lifelike because it was based on Lauren Oliver’s feelings to when she lost someone close and important to her. My favourite character would have to be Liesl, no doubt about it. I mean I felt the right way about every charcter; I hated the stepmother, felt for Po, loved Mo like a brother, but Liesl was the main person of the book and towards her I felt every good feeling you can. She is such a young girl, determined on setting her father free, and the amount of love she felt made me love her. The book is amazing. It’s a beautiful story filled with lessons of friendship, love and being together. It had everything I wanted and left my imagination sparkling with joy when it finished. This will be a new sensation.